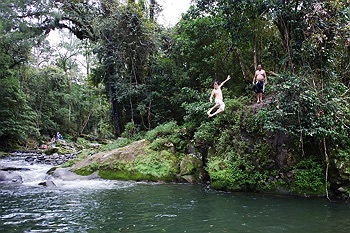 Barrington Tops National Park and the entrance to Chichester State Forest are only 3km further along from the cabins. Both areas offer impressive walks and great scenery. 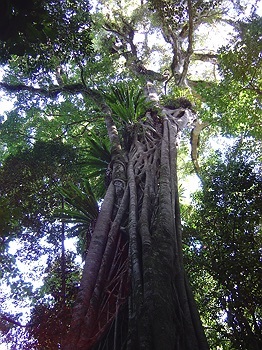 Forests in this area have been harvested for timber for many decades – some for over 150 years. The forests you see today are regrowth forests which means they have been harvested many times over and grown back. Today’s forest management practices protect biodiversity, soil and water quality and cultural heritage sites while also allowing for sustainable timber production. NSW State Forests – here today, here tomorrow. There are many great areas to visit here. Allyn River Forest Park - The Allyn River Forest Park is a great day use area for swimming, bushwalking, relaxing or four-wheel-driving. The nearby swimming hole at Ladies Well is a cool refreshing swimming hole that is perfect for a dip in the warmer summer months. 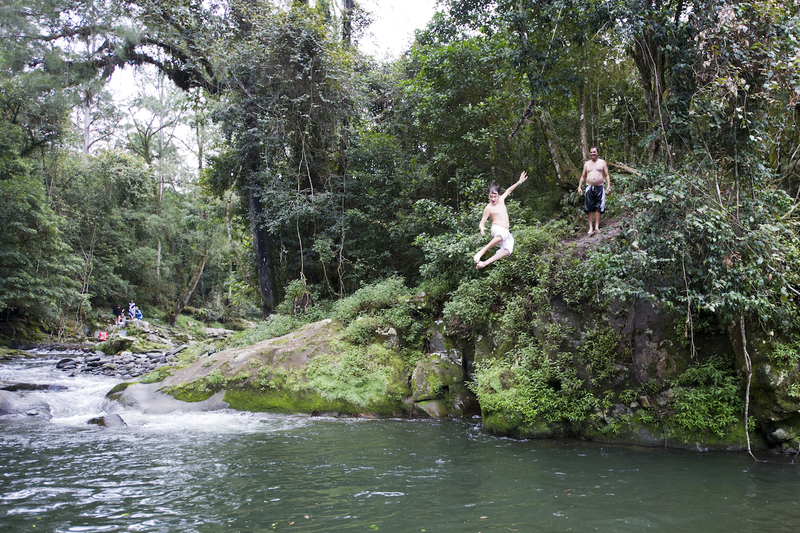 Mount Allyn -A spectacular lookout offers 360 degree views of the forests, park and wilderness of the Barrington Tops. Follow Mount Allyn Road through dry eucalypt forest at lower altitudes to cool temperate Antarctic beech forest and then into open grassy forest. The return distance from the main road is 28 kilometres. Note: The road up to Mount Allyn can become slippery in wet weather and may be seasonally closed due to snowfalls. 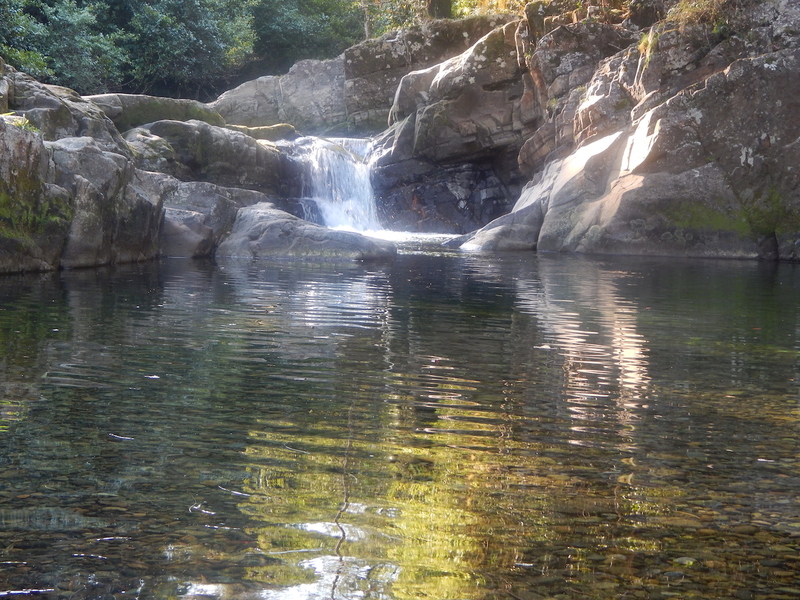 Ladies Well - A picturesque swimming spot with cascades where you can relax on warm rocks or swim in the cool Allyn waters. The rainforests in Barrington Tops National Park are part of the Gondwana Rainforests of Australia World Heritage Area; the most extensive strip of diverse rainforest anywhere on earth. The World Heritage Area is a direct window into the past and the future, providing a link to the ancient pre-human world and a stunning and irreplaceable record of life on our planet. You can explore the rainforest on one of the park’s many walking tracks, like the Honeysuckle Forest track, the Rocky Crossing walk or the Antarctic Beech Forest track. Listen out for the lyrebird whose mimicking calls ring out through the rainforest. Some great walks in our area include: click on the name for links to more information. Blue Gum Loop this delightful track offers a soothing riverside walk through patches of untouched forest in Barrington Tops National Park. 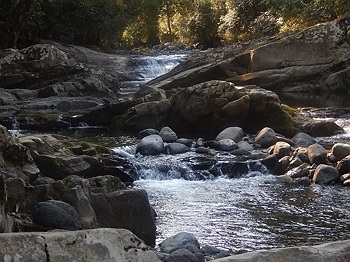 From Williams River picnic area, Blue Gum loop trail crosses the magnificent Williams River, winding past cascades, eucalypts, and rainforest before joining the southern end of Rocky Crossing walk. Careys Peak For an invigorating walk in the spectacular high country of Barrington Tops National Park, between Scone and Gloucester, you can’t miss Careys Peak walking track. The walk leads from Mount Barrington picnic area, along the eastern rim of the escarpment, to Careys Peak lookout. 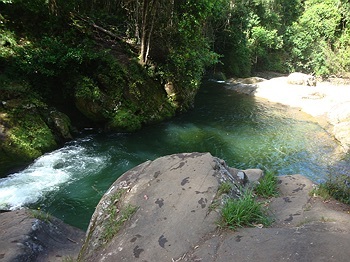 Rocky Crossing is an easy yet lengthy walking track offers subtropical delights as it winds through scenic Williams River valley from Williams River picnic area, with magnificent rainforest views. Take your time and experience a natural wonderland brimming with chances for wildlife spotting and birdwatching in the lush southern reaches of Barrington Tops National Park, near Dungog.